Elon Musk says an “extreme shortage” of car carrier trailers is partly to blame for Tesla’s delivery woes. And in typical Musk fashion, the answer is for Tesla to build its own trailers. That has trucking industry executives and analysts scratching their heads. 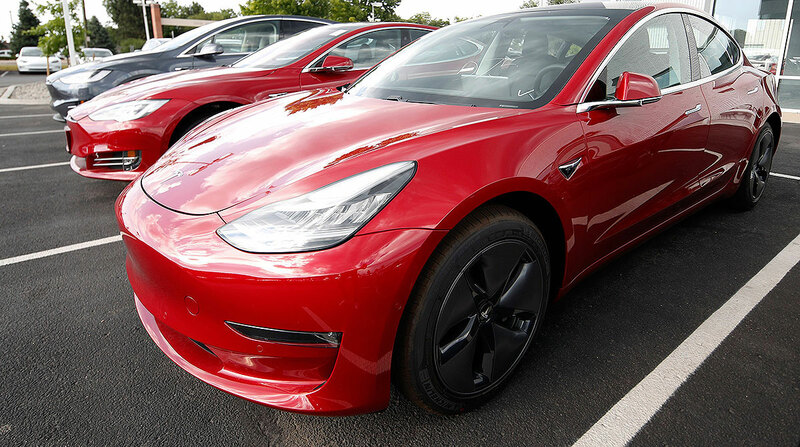 Many Tesla buyers complain they have paid full price for one of the company’s new Model 3 vehicles but haven’t received them, or deliveries that they had planned were canceled. Young said the problem more likely lies with Tesla’s own logistics operation. Tesla declined to discuss trailer shortages or details of any plans to build its own, with The Times. It’s the build-your-own part that puzzles Frank Maly, a trucking analyst at ACT Research Co.
“If they’re talking about building [trailers] from the ground up, that would be a surprise to me,” he said. First, the National Highway Traffic Safety Administration has a long checklist of regulatory information that must be submitted and processed for a new commercial trailer to be used on public highways. Also, materials, tooling, an assembly line and trained employees would be needed to build them. It’s possible, though, to build a system inside a regular enclosed semi-trailer known as a “dry van” to hold about eight cars without necessitating government approval, Maly said. It’s called an “upfit” and is used by several automakers, he said. With the U.S. economy humming, new dry vans also are in high demand. “If you ordered one today, you might get it in April,” Maly said. Logistics isn’t the only challenge Tesla is attempting to solve by taking matters into its own hands. Facing a shortage of body parts to repair Teslas involved in car crashes — some owners have waited months to get their cars back from such fixes — the company this year began opening its own “light collision repair” body shops. So far, there are nine, including one in Van Nuys, Calif.
A basic bumper replacement takes at least 24 hours, she said. “You can’t rush it” without sacrificing quality, Tanzillo said. A new door could be hung in an hour, but the vast majority of jobs would take far longer. Having Tesla parts in-house could speed the process, she said. It also helps that Teslas come in only a few colors. A body panel could be painted in an hour, she said, but the sun fades most cars, which means a paint job requires blending and matching. A high-quality job would take hours. Uptown used to work on Tesla cars, “but we do work on them now only when parts are not necessary,” Tanzillo said. Tesla declined to comment about Musk’s claims or body shop expansion plans.